I enjoy Black History Month, a celebration of contributions to American history and culture made by African-Americans. There are many outstanding Christmas episodes, specials, and TV movies with exceptional African-American cast members--as well as meaningful and touching Christmas TV story lines aimed at black audiences. In this week before February ends, I'd like to remind you of a few of my Christmas favorites. 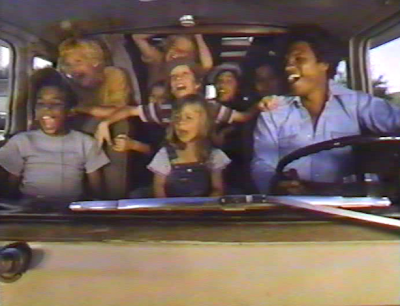 First broadcast in 1979, this TV movie was also released on VHS in the 1980s. 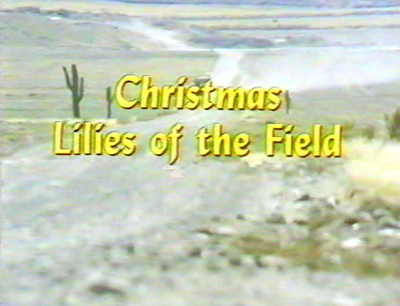 Christmas Lilies of the Field is a made-for-TV sequel to the much-beloved 1963 theatrical release Lilies of the Field. 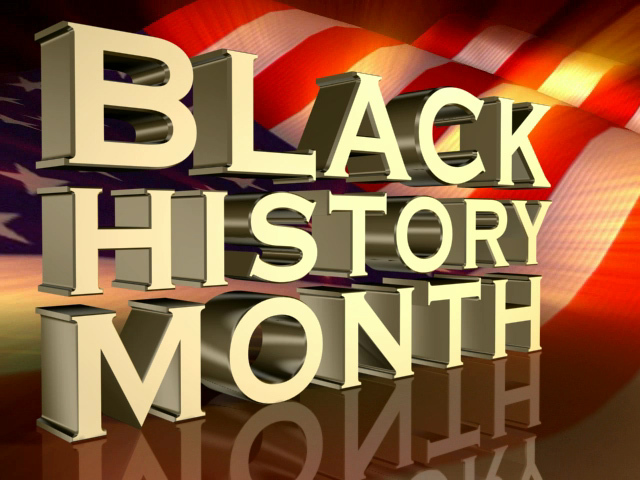 The 1963 original film was nominated for several Academy Awards including Best Picture. However, the film's star, Sidney Poitier, won for his role as Homer Smith, making him the first ever African-American Oscar winner for Best Actor. Homer Smith--or Schmidt, as the nuns call him--returns to find that Mother Maria has been waiting for him to construct additional buildings for her. In the Christmas TV movie sequel, Billy Dee Williams takes over the role of Homer Smith. The story begins with Smith returning to the chapel in the Arizona desert that he built for the German-speaking nuns in the first film. The nuns now care for a group of eight orphans and a pregnant teenager. Mother Maria is able to convince Homer to help them build what the nuns call a kindergarten--a school--and a dormitory for the children. Social Worker, Janet Owens (Fay Hauser), thinks the children are better off in foster homes and orphanages though the nuns argue the children want to remain together in their loving care. However, there are more challenges. Mother Maria’s financial benefactor, a wealthy society woman named Mrs. Everett is morally against the nuns caring for a pregnant teenager. And a social worker is convinced the children need to be separated and placed in foster homes and orphanages. Much like the original film, Homer pulls together members of the local community to help in the nuns' building plans. 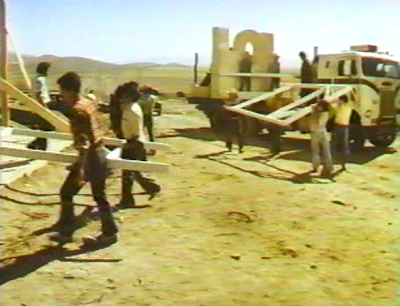 Here, members of a local Pima tribe and Hispanic community members generously offer their labor to help. 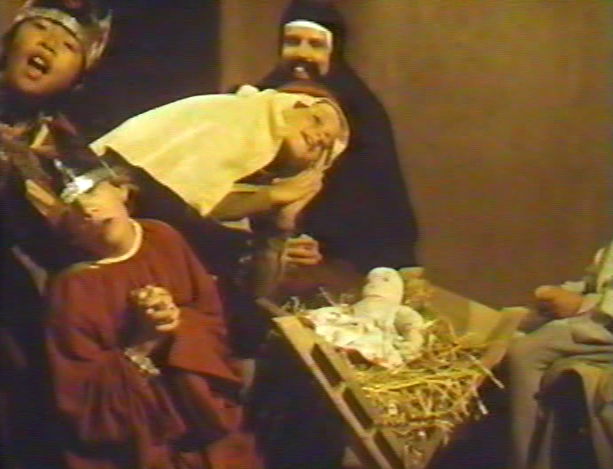 The children's Nativity pageant includes the singing performance of the spiritual "Children, Go Where I Send Thee." This story has a happy ending, as you may well guess. The finale includes a cheerful scene with the children dressed for their Christmas Nativity pageant singing “Children Go Where I Send Thee." Not only does the pregnant teen Felicia deliver her healthy baby on Christmas Eve but Homer is able to surprise Mother Maria with bells for her chapel. Homer teaches the gospel song "Amen" to the children while they ride in his RV to pick up supplies. Interestingly, this TV movie sequel is directed by Ralph Nelson, the same man who directed the original theatrical release. The sequel also has two additional scenes which include the 1963 film's musical theme, the song "Amen." This gospel song is one of the highlights of the original film and so it's wonderful to see it repeated here as well. 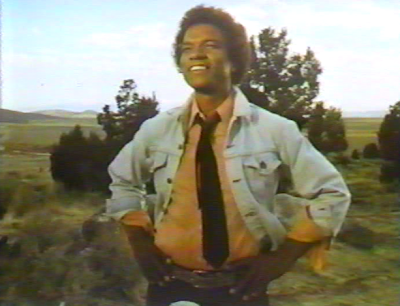 "Amen" was arranged for the 1963 film by songwriter/composer and actor Jester Hairston. Though you may not recognize his name, TV viewers may recognize Hairston for his role as the elderly Rolly Forbes in the hit 1980s sitcom Amen which also starred Sherman Hemsley. 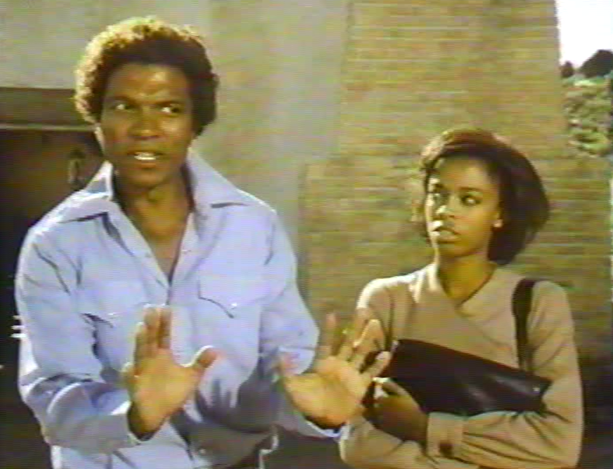 Billy Dee Williams brings his own dignity to the role of Homer Smith. The 1963 film Lilies of the Field still airs regularly on TV--I just watched it last week, probably on Turner Classic Movies during their countdown to the Oscars. However the 1979 TV movie Christmas Lilies of the Field is far more rare. If you still have a working VCR, you may be able to dig up a copy. Wish you still had a VCR, don't ya?